Released in 2013, the original work by Kevin Kwan became a best seller and received positive reviews internationally from sources including The New York Times, The Boston Globe and the Independent. With its crazy and unputdownably funny plot, Kwan’s intention in writing the novel was to bring a fresh look of contemporary China to the somewhat outdated Western perspective. 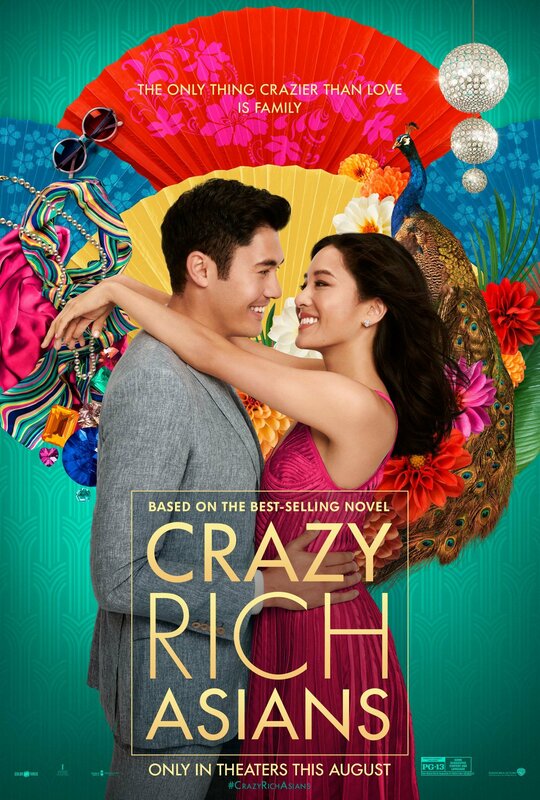 On the heels of its success, Crazy Rich Asians was followed by the sequel China Rich Girlfriend in 2015 and Rich People Problems in 2017. Warners Bros. Pictures put director Jon M. Chu in charge of the film adaptation of the first novel to be released five years later. Starring only Asian actresses and actors, Chu took this as a chance to change how Hollywood perceives what ethnicity a leading man or woman should be. By staying true to the book and being free from stereotypes, ‘Crazy Rich Asians’ serves a very important role for the Asian American community, as they suffer from their own lack of representation on screen and behind-the-scenes, like many other underrepresented minority groups. Christopher Tin was brought on board and had the thrill of arranging a number of jazz tunes for ‘Crazy Rich Asians’, including his very first big band chart. Based on an old Chinese melody ('He Ri Jun Zai Lai’), his high-energy big band + orchestra arrangement was chosen by director Jon M. Chu and the Warner Bros. team to score the opening of the film. Performed by Jasmine Chen and arranged, conducted and produced by Christopher Tin, the song “Waiting for Your Return” was also an opportunity for Tin to play a musical role in the greater movement conveyed by Crazy Rich Asians. Crazy Rich Asians was one of the most highly anticipated 2018 Hollywood movies and earned a great amount of accolades since its release. Specifically, Christopher Tin’s big band opener “Waiting For Your Return” was singled out by movie reviewers who said: “Thirty seconds. That’s how long it took to shed my first tears” (The Globe and Mail), “It’s a thrilling opening for a thoughtfully curated soundtrack” (Wired), “I got goosebumps when Jasmine Chen’s “Waiting for Your Return” kicked in at the beginning” (The Atlantic).